The 2017 Employment Inventory data collection took place between May and September 2017. 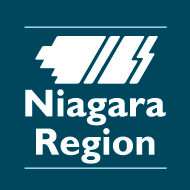 During this period, a team of students from the Region’s Planning and Development Department were deployed throughout Niagara area to inventory all visible business establishments (not including home-based). Using mobile hardware devices, the students initially captured the visible business details (business name, address) and subsequently conducted a brief face-to-face interview with a business representative to collect additional business details. The inventory process was developed based on best practices and the questionnaire was developed through collaboration with several partners. A copy of the inventory questionnaire can be found in the pdf link below. Participation in the Employment Inventory was voluntary.